We are a reputed organization that is engaged in manufacturing, supplying, trading and wholesaling Programmable Logic Controller for Automation Industry. All these products are manufactured at our state-of-the-art infrastructure facility using high quality components following industry set guidelines. Besides, we make sure that the consignments are timely delivered at clients’ destinations. 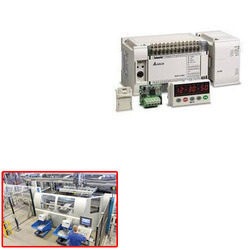 Looking for Programmable Logic Controller for Automation Industry ?